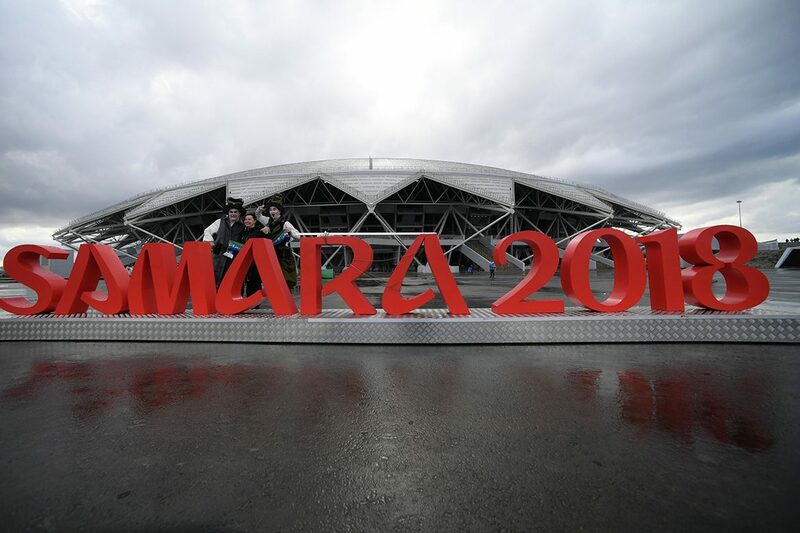 THE SAMARA ARENA STADIUM is the stadium that was built to host the 2018 World Cup football matches. 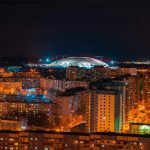 There is an arena in the city of Samara. After the end of the Championship, the stadium will be the home arena of the local team “Wings of the Soviets”. The structure is two-tiered. A natural lawn is planted at the stadium. The arena is equipped with modern heating and watering systems. Therefore, the field Beth stays in excellent condition at any time of year, regardless of the weather conditions. 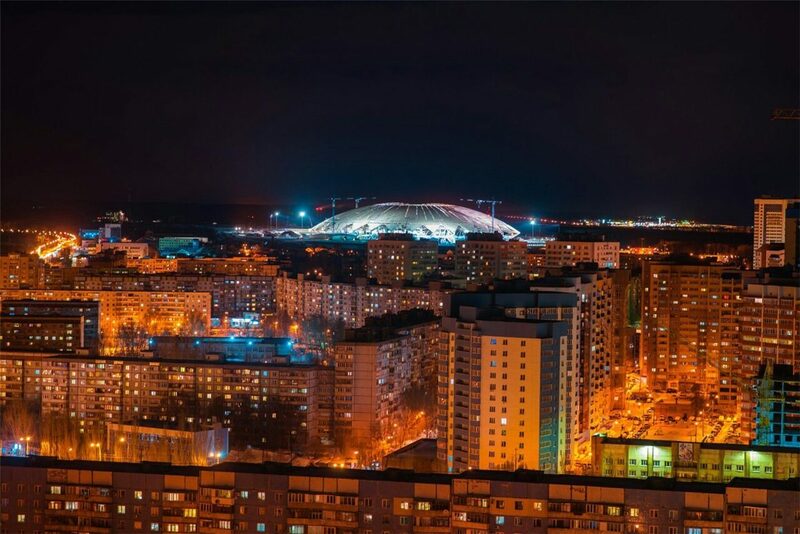 “Samara Arena” is located in the highest point of the city. 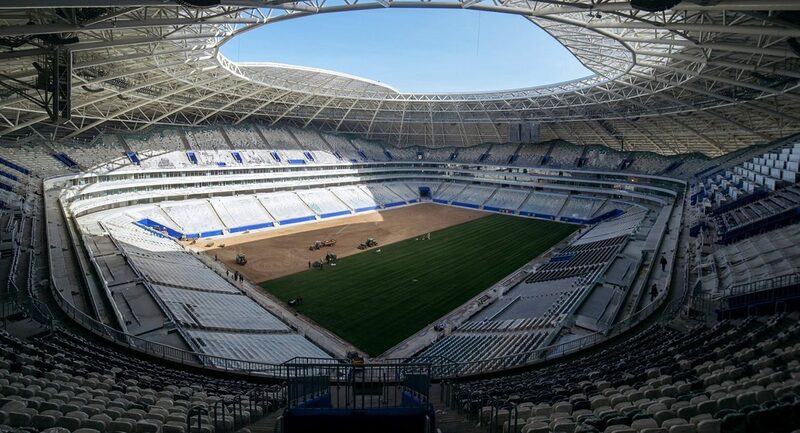 This stadium will host group matches, 1/8 and 1/4 finals. The capacity of the arena is 45,000 people. The main feature of the building is the space direction in style. 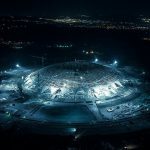 Its name will change after the World Cup and will be called as “Space Arena”. The cosmic original motif is reached, thanks to the dome above the grandstands. He covers the stadium, resembling a star. The dome has no rounding, i.e. he is straightforward. 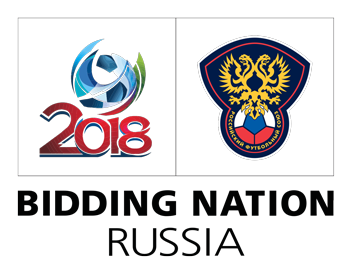 Since the city has an original history and a strong football team, Kolya’s choice as one of the arenas for the World Cup matches is not at all surprising. 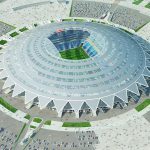 The project was designed by the company, which also designed the stadium in Kazan. The chosen direction is not accidental, 77% of all heavy industry of the city belongs to the aviation and space spheres. 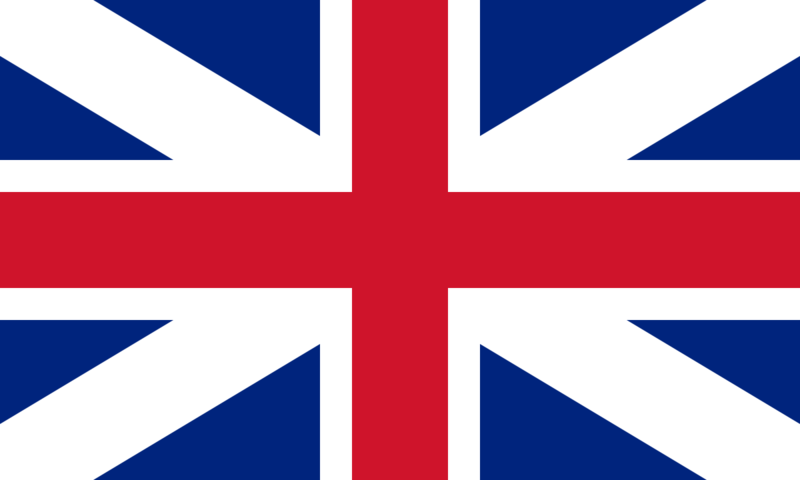 The stadium has become just a symbol of this. 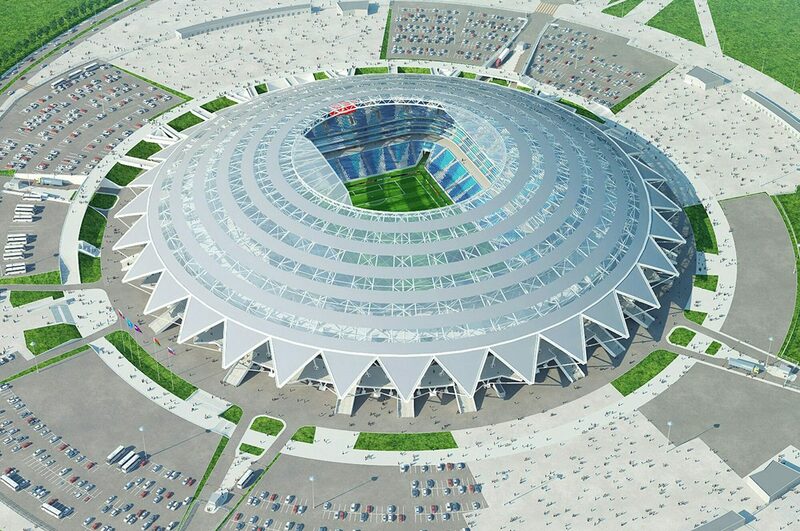 Initially, the construction of the stadium was planned on the arrow of the rivers Samara and Volga. This option was riddled with representatives of FIFA. However, this decision caused a lot of indignation among the public. Skeptics were against erecting in such a place. The arguments were convincing and logical: the unreasonably high cost of construction in the planned location, the carrying out of a huge amount in the zone of future construction, the possible threat of demolition of historic sites, possible flooding of the facility, an uncomfortable transport interchange, and too much remoteness of the station. In addition, it was necessary to re-shift all existing communications. 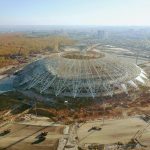 After expressing such dissatisfaction with people, other options for the construction site of the arena began to be considered. 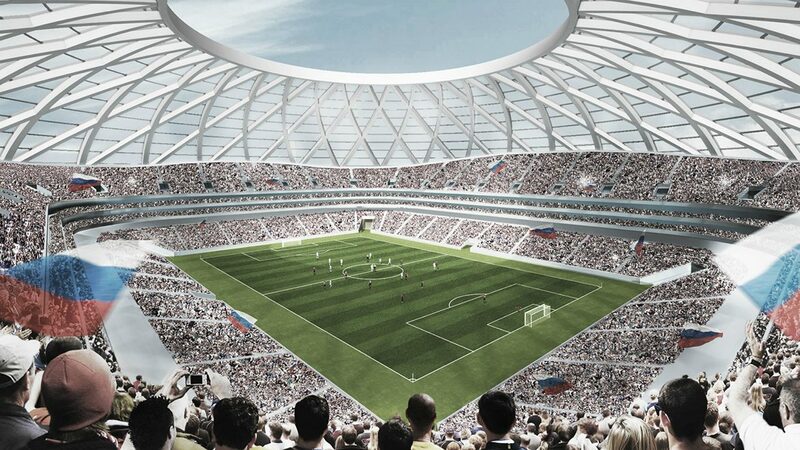 The constructed stadium is under consideration 15 kilometers from the station and 32 from the airport. Get to the arena is not difficult, both for the local residents, and for the guests. 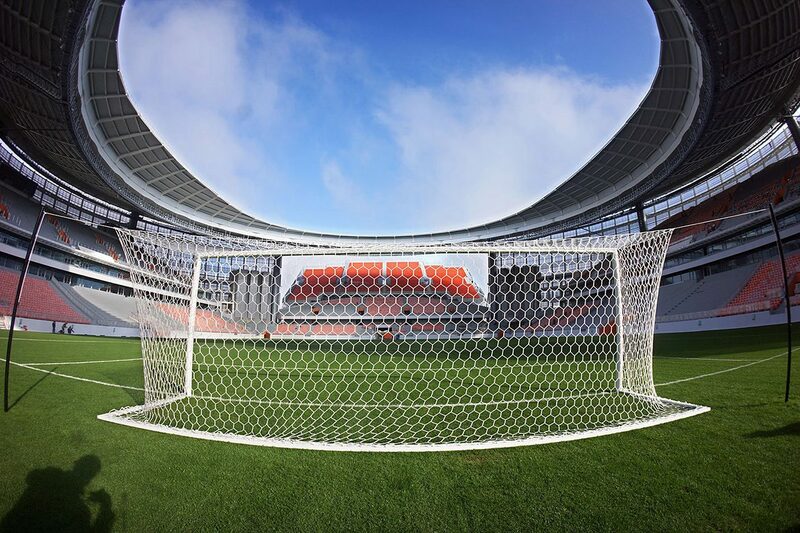 Security in the stadium, as in other arenas, which will host the 2018 World Cup, at the highest level. 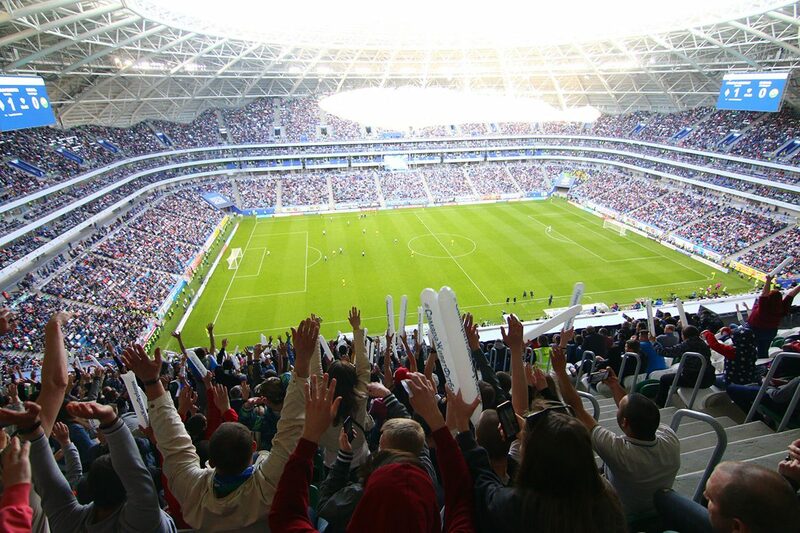 The “Samara Arena” has modern video surveillance systems installed. Also, the stadium is equipped with innovative systems for extinguishing fire and alarms to alert people about the alarm. There will be organized security in the form of 30 posts, which will work round the clock. For people who have limited opportunities, there are special spacious seats. In 2014, the President of Russia came to Samara. He took part in the start of construction of a new stadium in the city. Other statesmen also took part in this process. 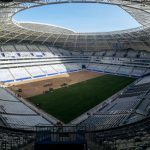 During the construction of the Samara Arena, the main task before the workers was the installation of consoles. There were 32 of them. 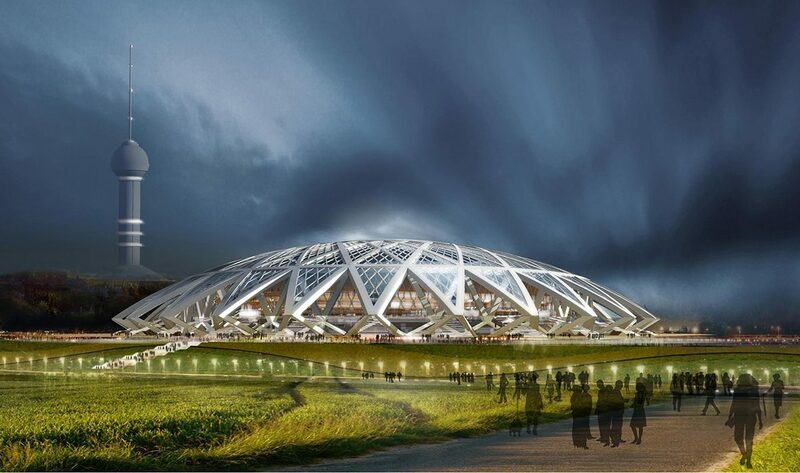 The speed of the construction process caused some questions from representatives of FIFA. As for the future fate of the stadium, no one had any questions. 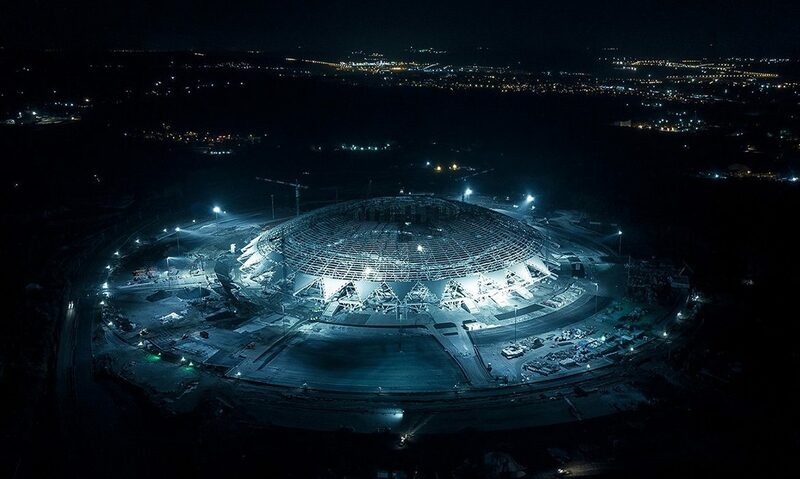 In April 2018, it was announced that the construction of the arena was over. At the end of the month, a match-test was conducted between the Wings of the Soviets and the Torch. In 2016 one of the deputies appealed with suspicion of corruption to the General Prosecutor’s Office. It was stated that allegedly provided documents that clearly did not correspond to the real state of affairs. The deputy said that the budget for the construction of the building is significantly overestimated. This was not not with one stadium. According to rumors, searches were conducted in the Ministry of Construction. However, all these rumors were refuted in the press service. Considered even the options for transferring matches from Samara to another city. But, fortunately, everything turned out and the city has an arena for the adoption of the 2018 World Cup. 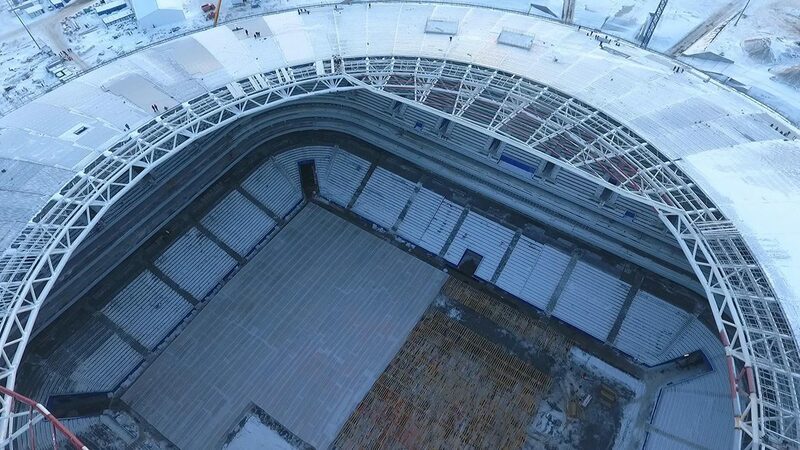 The roof completely covers all spectators. Accordingly, it will be comfortable here in the cold season. The stadium received its final name in 2015. 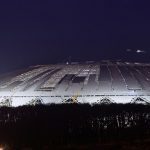 Initially, one of the variants of the names was considered “Volga Arena”. 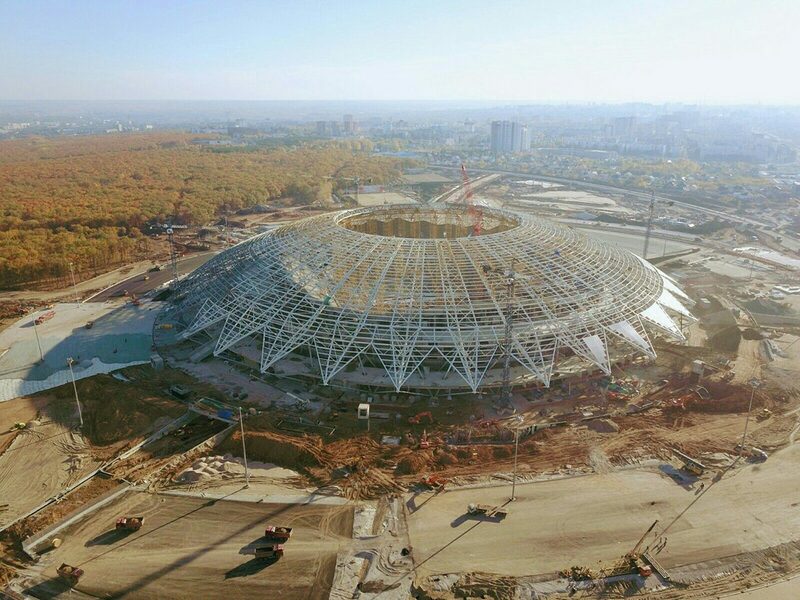 “Samara Arena” is a landmark stadium. It was he who was first sent for examination. Therefore, it will be remembered forever. 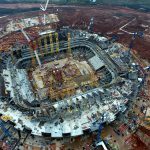 The cost of building the stadium increased from 13.2 to 18.2 billion rubles. At first, a variant of a very complex and expensive dome was considered, but later this issue was revised to save the budget. 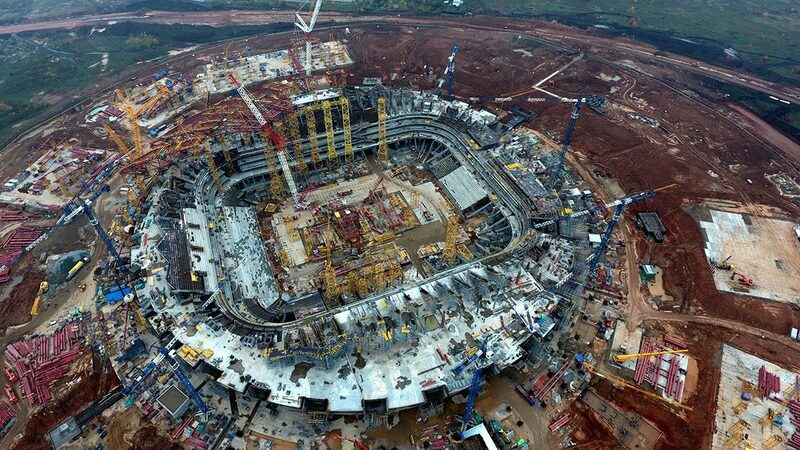 The diameter of the stadium is larger than the diameter of the Luzhniki stadium. The height of the structure is 60 meters, and the weight of the structures is 13,000 tons. 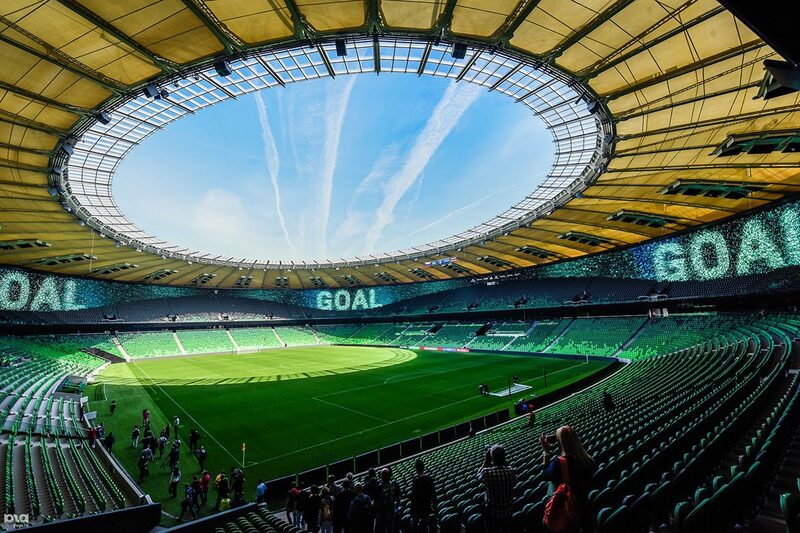 This is a record among all other stadiums in Russia. The stadium has several different terraces, a very significant difference in altitude. The diameter of the dome is 612 meters. A natural lawn will contribute to a quality game. For visitors who are overweight, the armchairs are slightly larger than the grandstandard ones. 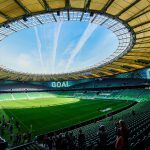 Samara Arena is equipped with a modern lawn care system, which operates around the clock in automatic mode. It allows you to dry the field after heavy rains in just half an hour. In dry weather, the lawn is maintained in a necessary condition so as not to dry out, during the precipitation an efficient air supply system operates. In the process of construction, 2,300 specialists were involved, who worked around the clock. 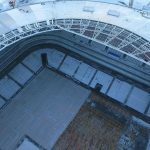 Next to the “Samara Arena” there is a territory for the construction of a center for helicopters. 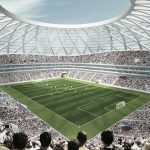 Correct design of the arena allows you to spend on it different entertainment and sports activities for a year. 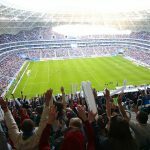 In the winter season, the seats in the arena are heated with infrared rays, so you can visit the stadium with the kids, not worrying about their health. After the end of the World Cup, it is planned to open a museum of the Samara football team. Subtribune premises will be immediately commissioned for commercial purposes to various organizations. We can say with confidence that such an architectural masterpiece does not exist all over the world. The stadium is ideal not only inside, but also outside. Of course, it is worth seeing from a height. It resembles a UFO so much that breathtaking looks from one look. Gives brightness to all this illumination of the “flying saucer”. The stadium looks fantastic at any time of the day and season. Before visiting the “Samara Arena” nothing special to do is not necessary. The main thing is the purchase of a ticket and a huge desire. Take care of the early arrival at the stadium. Go from the nearest stop to the arena about 1.5 kilometers. If the fans want to pay at the stadium, then you need to have bank cards with you. A MasterCard card with a prepayment is a subscription to Spartak’s football games. It also serves as a pass to the grandstands. At the stadium there are special machines, in which you can also buy such cards, which is very convenient for fans. From the city of Yekaterinburg can be reached by airplane without a transfer. From the airport for a trip by taxi to the stadium can be 1000 rubles. Also tourists can take buses that travel from the airport. As for the railway station, it is impossible to get to the arena without transplants. First you will need to get on route 206, then by tram. Propaganda materials that are extremist in nature. Location: Samara. The stadium is located in the district of Radio Center. Number of seats in the grandstands: 44 918 people. Number of parking spaces: limited. Skyboxes: designed for small companies from 10 to 24 people. Bus. The arena can be reached by various routes. 50 runs every 5 minutes. Route 78 runs every hour. In addition, you can get – 79, 113, 389, 392, 496, 447. Shuttle buses. Routes S1, S2, S3, S7. Tram. Not far from the stadium passes only one route – the 21st. This tram is high-speed, its cruising time is 40 minutes. The tram rides almost to the stadium. The car. On this type of transport you can only get to the nearest parking lots, and then by public transport to the stadium. 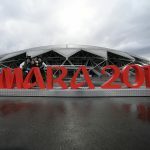 It is not recommended to visit the arena on private transport, because the traffic near the “Samara Arena” will be blocked. If you want to save time, you can, on the contrary, significantly lose it and be late for the match. On foot. Arena and Dalnaya streets were specially built for the stadium. There is an underground passage. In order to avoid various unpleasant situations, it is best to come to the football match early, for an hour for 3. During this time you can safely reach the stadium and pass all the checkpoints in the grandstands. 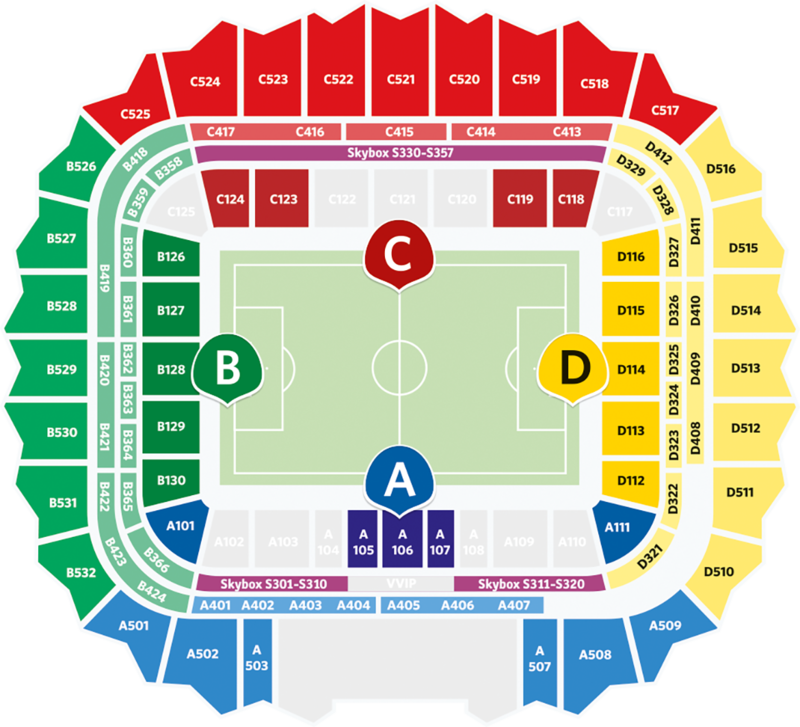 Entry into the territory of the stadium is possible only with passes that are valid on the day of the match. Pass data can be one-time or seasonal. Tourists are advised not to restrict their stay in the city only by attending matches. You can also see the sights of Samara. Popular Zhigulyovskaya brewery, Stalin’s Bunker, the Space Museum of the city. You can walk in the park, enjoy the beauty of Samara.